Dr. Kidwell is Professor of Neurology and Medical Imaging, Vice Chair of Research in the Department of Neurology, and a member of the Sarver Heart Center. 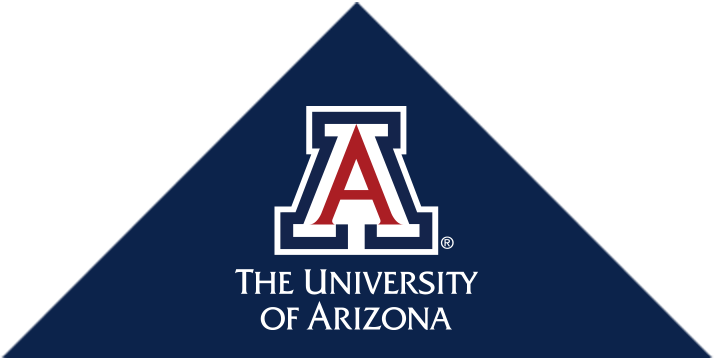 Dr. Kidwell is also Co-Medical Director of the University of Arizona Medical Center (UAMC) certified Primary Stroke Center. Dr. Kidwell's clinical research focuses on 1) innovative neuroimaging approaches directed at understanding stroke pathophysiology and treatment, 2) reducing health disparities in stroke care, and 3) advancing novel treatments for acute stroke including intracerebral hemorrhage. Dr. Kidwell is the author of over 100 peer-reviewed journal publications and 15 book chapters. Heiss WD, Kidwell CS. Imaging for prediction of functional outcome and assessment of recovery in ischemic stroke. Stroke, 2014; 45:1195-201. Kidwell CS, Jahan R, Gornbein J, Alger JR, Nenov V, Ajani Z, Feng L, Meyer BC, Olson S, Schwamm LH, Yoo AJ, Marshall RS, Meyers PM, Yavagal DR, Wintermark M, Guzy J, Starkman S, Saver JL; MR RESCUE Investigators. A trial of imaging selection and endovascular treatment for ischemic stroke. NEJM, 2013; 10:914-23. Ovbiagele B, Wing JJ, Menon RS, Burgess RE, Gibbons MC, Sobotka I, German L, Shara NM, Fernandez S, Jayam-Trouth A, Edwards DF, Kidwell CS. Association of chronic kidney disease with cerebral microbleeds in patients with primary intracerebral hemorrhage. Stroke, 2013; 44:2409-13. Kidwell CS, Wintermark M, De Silva D A, Schaewe TJ, Jahan R, Starkman S, Jovin T, Hom J, Jumaa M, Schreier JF, Gornbein J, Liebeskind DS, Alger JR, Saver JL. Multiparametric MRI and CT models of infarct core and favorable penumbral imaging patterns in acute ischemic stroke. Stroke, 2013; 44:73-9. Kidwell CS. MRI Biomarkers in Acute Ischemic Stroke: A Conceptual Framework and Historical Analysis. Stroke, 2013; 44:570-8. Zahuranec DB, Wing JJ, Edwards DF, Menon RS, Fernandez SJ, Burgess RE, Sobotka IA, German L, Trouth AJ, Shara NM, Gibbons MC, Boden-Albala B, Kidwell CS. Poor long-term blood pressure control after intracerebral hemorrhage. Stroke, 2012; 43:2580-5. Menon RS, Burgess RE, Wing JJ, Gibbons MC, Shara NM, Fernandez S, Jayam-Trouth, German L, Sobotka I, Edwards D, Kidwell CS. Predictors of highly prevalent brain ischemia in intracerebral hemorrhage. Annals of Neurology 2012; 71:199-205. Kidwell CS, Burgess R, Menon R, Warach S, Latour LL. Hyperacute injury marker (HARM) in primary hemorrhage: a distinct form of CNS barrier disruption. Neurology 2011; 77:1725-8. Hsia AW, Castle A, Wing JJ, Edwards DF, Brown NC, Higgins TM, Wallace JL, Koslosky SS, Gibbons MC, Sanchez BN, Fokar A, Shara N, Morgenstern LB, Kidwell CS. Understanding reasons for delay in seeking acute stroke care in an underserved urban population. Stroke 2011; 42(6):1697-1701. Hsia AW, Edwards DF, Morgenstern LB, Wing JJ, Brown NC, Coles R, Loftin S, Wein A, Koslosky SS, Fatima S, Sanchez BN, Fokar A, Gibbons, MC, Trouth AJ, Kidwell CS. Racial disparities in TPA treatment rates for stroke: a population-based study. Stroke 2011; 42(8):2217-2221. Easton JD, Saver JL, Albers GW, Alberts MJ, Chaturvedi S, Feldmann E, Hatsukami TS, Higashida RT, Johnston SC, Kidwell CS, Lutsep HL, Miller E, Sacco RL. Definition and Evaluation of Transient Ischemic Attack. A Scientific Statement for Healthcare Professionals from the American Heart Association/American Stroke Association Stroke Council. Stroke 2009; 40:2276-2293.